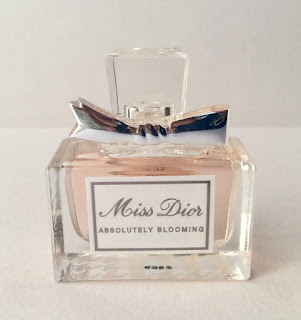 Come summers and all you want to do is smell good and feel fresh specially so in our tropical climate where it gets so hot and sweaty .After my last fragrance review of Dior Hypnotic Poison , I am back with another review today - Miss Dior Absolutely Blooming . 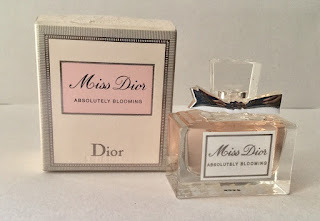 Price - This was again a gift and since it is a new launch ,it is not easily available ,Currently I could not find it online in India so I really can't say about the price in INR ,but at Dior.com it is sold at $ 94.00 for 1.7 Oz . 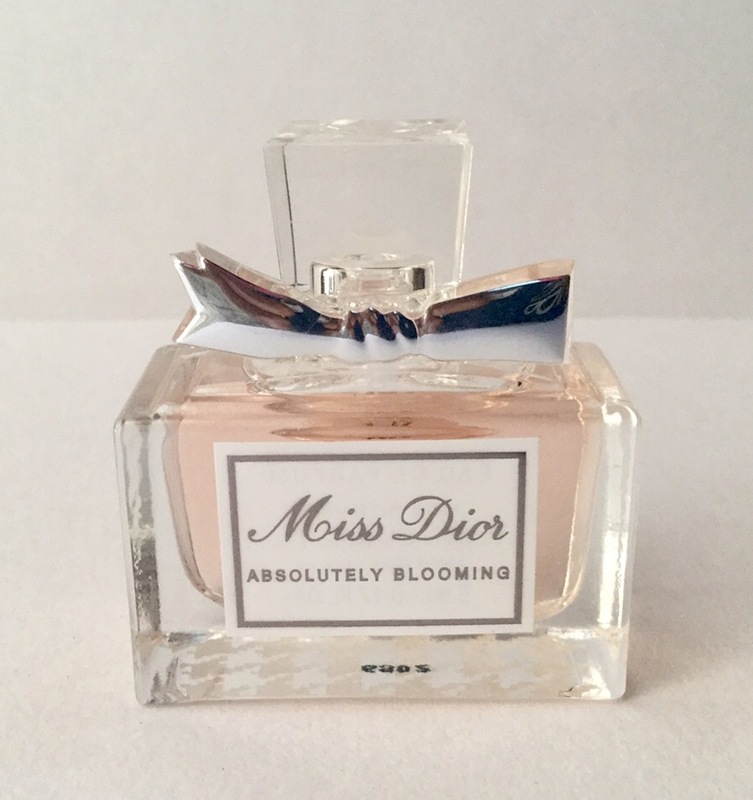 Presentation - Miss Dior Absolutely Blooming perfume from the famous Miss Dior collection ,was launched in August 2016 by the House of Christian Dior.According to the in-house perfumer Francois Demachy , this bright fruity fragrance was created for the cheerful modern woman who loves life. It comes in a sturdy rectangular glass bottle with a spray pump and a cute girly silver bow at the neck .The pink color of the liquid goes well with the floral character of red berries ,pomegranate and pink pepper that the perfume contains . The perfume comprises of three most prominent layers: red berries, Centifolia May rose from Grasse and peony, as well as white musk. It is available in 30, 50 and 100 ml sizes. It is slightly on the expensive side . Not easily available,I checked online and I could not find it online but its is available in Sephora when I checked with them . I find the opening notes very strong and sweet and cloying thankfully if does not last or I would have got a headache . It's a strong floral fragrance.Though the description says top notes of Raspberry,Pomegranate,Black currant and Pink Pepper and middle notes of May Rose and Peony with Base notes of White Musk but what I smell after application is Raspberry , hint of Black currant and White Musk mostly and the other notes are not so dominant on my skin. It lasts long enough on the skin ,I could still smell it on my skin after applying in the afternoon till the next morning .I can safely say it is a skin scent . The sillage is not so good I would say it has a moderate sillage only . This would be more of an evening wear fragrance and also more suitable for colder weather . FINAL VERDICT - I rate it a 2/5 .Every perfume smells different on different people based on the skin chemistry of the wearer and in my case this did not give any rosy hints at all .It smelled sharply fruity, sweet and musky upon my skin a combination which I did not fancy much so would probably not be getting it again . Great review, Hope the product is natural too! 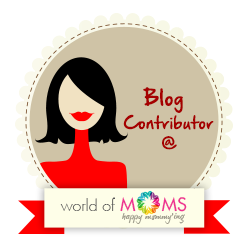 Thank you Menaka ! Unfortunately it is not a natural product . I really like longibility of "Miss Dior Absolutely Blooming" perfume. It has really nice scented notes which represent the modern scent with delicious floral character. Thanks for sharing this review. 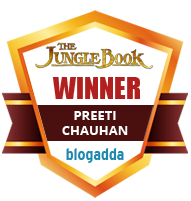 Thanks for the appreciation !